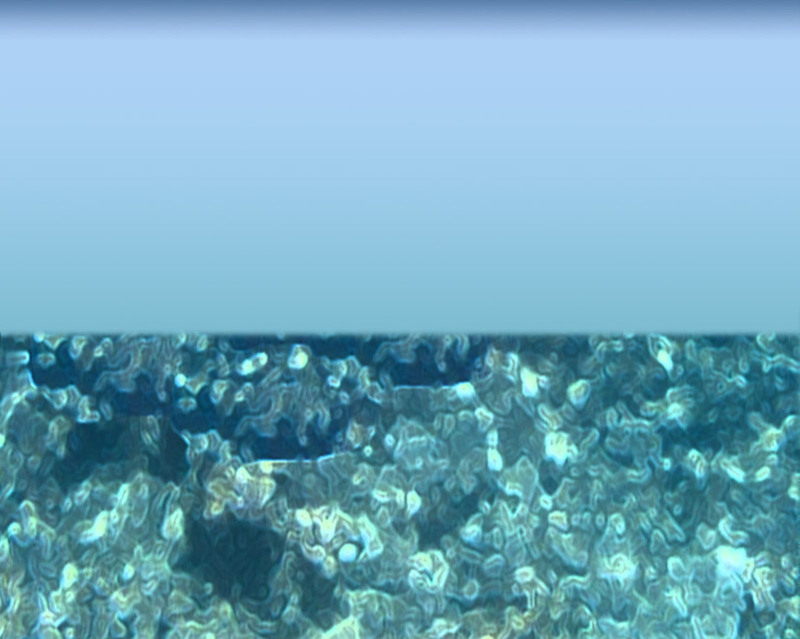 Distribution limited to central Pacific Ocean, breeds in Northwestern Hawaiian Islands. 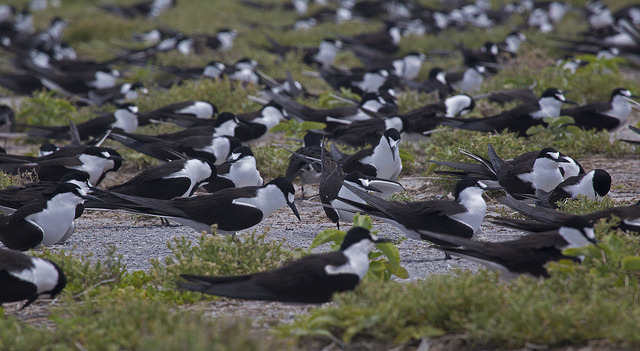 Nesting pairs breed on Eastern and Spit Islands. Extirpated from Sand Island during military era. Easily disturbed by human activity; repeated disturbance may result in permanent abandonment. This is a species that lives on the wing—known for its ability to stay airborne for years at a time between fledging and first breeding, never coming to land during the nonbreeding season, and never seen resting on the water. 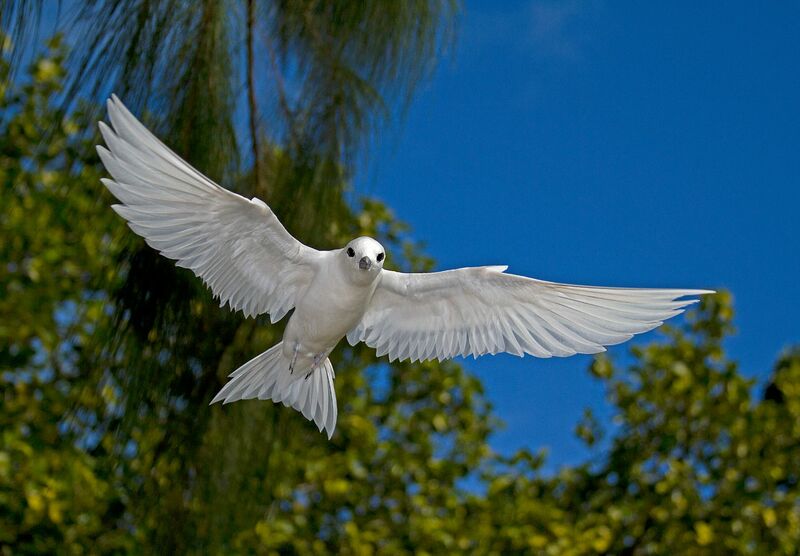 The Sooty Tern once bred on practically every island group in the Tropics but is now gone from many sites due to habitat alteration and predation by introduced predators. Humans still take eggs for food in many places today. Still one of the most abundant birds in the Tropics, with a worldwide population of 60 to 80 million birds. This species nests on Sand, Eastern, and Spit Islands. Nesting occurs throughout the year, with peak activity in January, February, and July through August. 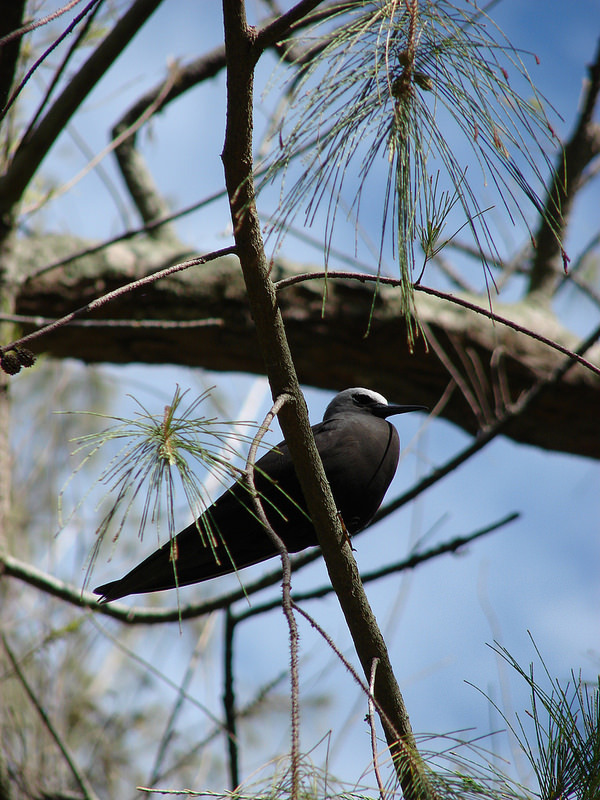 On Midway, Black Noddies have adapted to nesting in tall Ironwood trees (Casuarina equisetfolia) where some birds build elaborate nests with grasses, leaves and twigs. 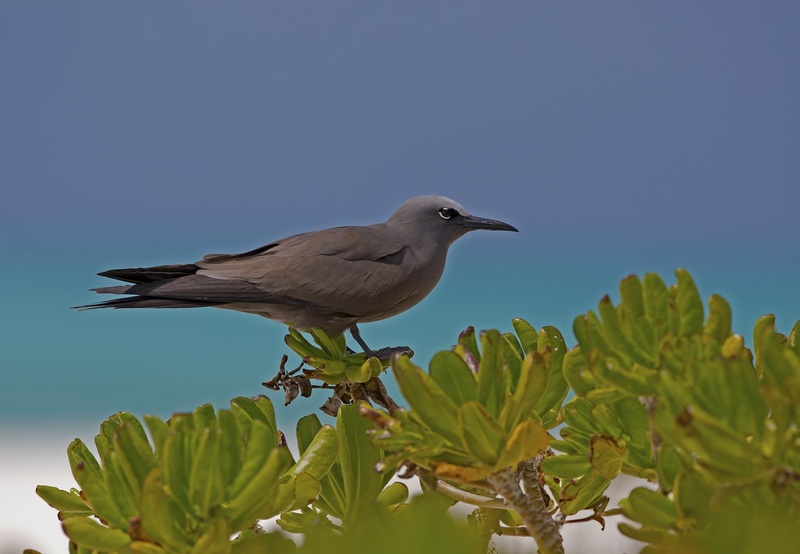 Black Noddies also nest in Beach Naupaka (Scaevola taccada) and Beach Heliotrope (Tournefortia argentea) shrubs. The Northwestern Hawaiian Island population is estimated to be around 80,500 individuals. 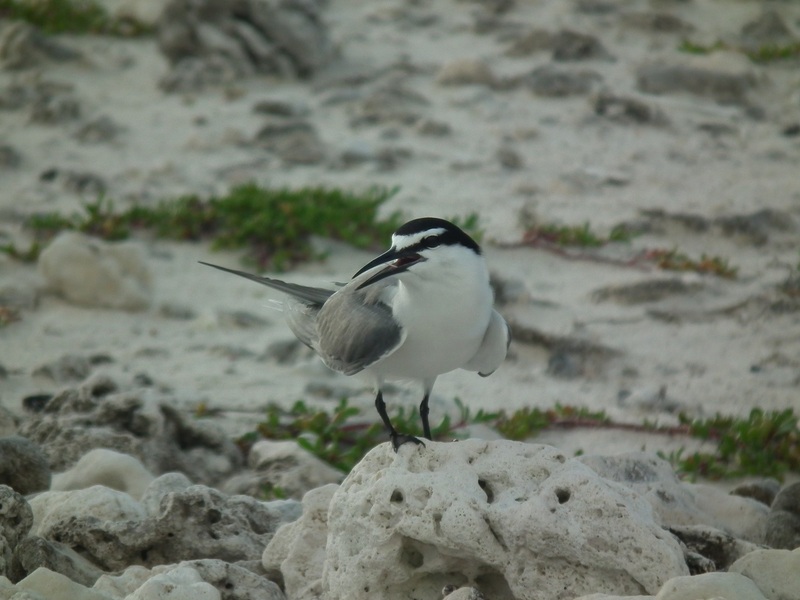 In 1984, about 7,500 breeding pairs nested on Sand and Eastern Islands, representing the largest population in the Northwestern Hawaiian Islands.